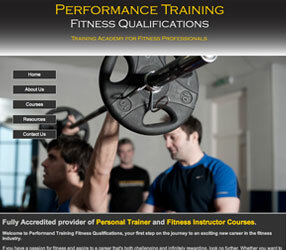 Performance training is a leading South West, Health and Fitness industry course provider. Established in 2007, by Managing Director Ashley Hough, who has over 10 years industry experience, both as a personal trainer and qualified lecturer. The business has gone from strength to strength and now provides a wide range of industry recognised qualifications nationally, aligned to CYQ standards for the health and fitness industry, such as Level 2 Gym Instructor and Level 3 Personal Trainer. Performance Training set themselves apart from other training providers by not only delivering industry qualifications, but guiding all their students step by step through the process of how to start your own business in the health and Fitness industry. Offering support and advise on a range of topics, such as, How to become self-employed or register a limited organisation, how to market your business, continual development and an insight into their own personal challenges and results. Performance Training’s old website had been in existence since early 2010 but had never been able to achieve any significant ranking in popular search engines, or drive web traffic. This meant as a result it did not generate Performance Training any additional revenue. Blade Creative was originally recruited to assist Performance Training in formulating a comprehensive search engine marketing strategy that would increase qualified website traffic, search engine referrals and customer acquisition. In essence, making their website do what all websites should be built to do – increase sales by bringing in new clients and strengthen existing client relationships. Blade Creative spent a lot of time understanding the business, observing and evaluating the current websites activity and functionality. This included tracking pages viewed and gaining an insight into existing students feedback and recommendations. Following this analysis, it became clear that the problem not only lied within search engines rankings, but in Performance Trainings brand awareness within its market as a whole. Further discussions were ventured into, whereby a full creation of a new brand identity, digital awareness campaign, and integrated marketing plan was agreed upon. To accomplish the role out of this Performance Training instructed Blade Creative to act as their outsourced marketing department, operating as a flexible and cost effective resource for all future marketing needs. 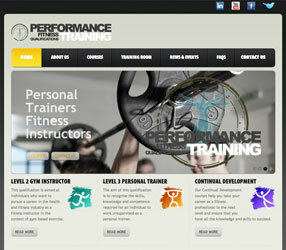 “Blade worked closely with the team at Performance Training to advise on best practice strategies to articulate their value proposition and design a fresh and engaging website, that will not only offer prospective students information on course syllabuses, but also become a hub of resources for students throughout their entire journey of becoming a fully qualified fitness instructor or personal trainer”. “Blade Creative are a highly professional and knowledgable company who I would definitely recommend to others. I was after not only a website that looked great but also a website that was highly optimised and effective in terms of search engine ranking. Blade Creative built me a website higher than my expectations, a site that looked great and would do the job in allowing others to find my company online. In today’s business environment many small businesses or SMEs face the same challenge everyday… Too much to do and not enough time to fit it all in! 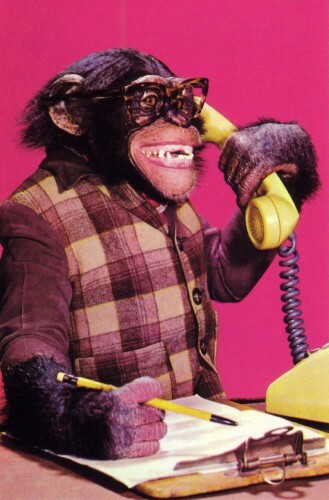 The marketing manager or company owner may do a fantastic job in branding and advertising the business, but does not have the time to stay up to date with modern marketing technologies and / or tactics, nor have the budget to justify another head count to do so. By outsourcing your marketing, it gives your business the opportunity to explore alternative marketing strategies and strengthen and develop tactics already in place. A consultant would work alongside you and your business to provide the skills, project management and expert advise needed to meet your marketing objectives and free up your time to focus on other business functions, resting safe in the knowledge that your marketing is being run to budget and schedule. Blade Creative provides very practical and focused business growth and marketing consultancy services tailored to the specific needs of your business. A dedicated marketing consultant would be placed by secondment into your organisation as a flexible, cost effective alternative to in-house marketing personnel, completely aligned to your business requirements. Furthermore, your consultant will be able to keep you up to date with the new industry marketing tools available and test marketing activities within Blade’s new Marketing TestLAB – allowing you to develop and trail different marketing activities or annual campaigns to fine tune them and maximise return on investment before launching. If you’d like to learn more about outsourced marketing, book in a free 1 hour audit with Blade Creative, who will work with your businesses key stakeholders, review documentation, look for improvements and provide a brief report detailing next steps. The Rural Reach Simple 7!